With summer approaching, you’ll want to start thinking about keeping your chickens cool. If a hen is not able to stay cool, it will slow and stop laying eggs. If a chicken gets too hot or stays hot for too long, they can die from heat stress. The best way to know if your chickens are getting too hot is to watch their behavior. Because chickens don’t sweat, they keep cool by panting to allow the moisture within their lungs to evaporate and move out of their bodies. Early signs that they’re having to work harder to stay cool would include panting and holding their wings away from their bodies. If they’ve become listless or their breathing has become labored, then they’re experiencing heat stress. Space. Make sure your birds have plenty of space. Chickens have a natural body temperature of 107° (F). They put off a lot of heat and moisture. Put too many chickens in too small of a space and it will be difficult for them to stay cool. For full size birds, we recommend a minimum of 4 square feet per bird. Ventilation. The coop should be well-ventilated. Good airflow will help to move out both the moisture and the heat put off by the birds. If you’re not able to get enough airflow with natural ventilation, consider creating a breeze with a fan. Shade. Consider positioning the coop and run under a tree or a building or other structure. This will provide additional shade and assist with lowering the temperature. Also, consider finding a spot that allows the coop and run to benefit from a breeze. Water. Your chickens should always have access to plenty of fresh water and, in hot weather, this is even more critical. On extremely hot days, replace warm water with cooler water throughout the day. Chickens will drink more water when the water is cool. Placing waterers in the shade will help keep the water cool as does adding ice. Chickens may be reluctant to go out into the hot sun to get a drink so provide more accessibility to fresh and clean water. Be observant. 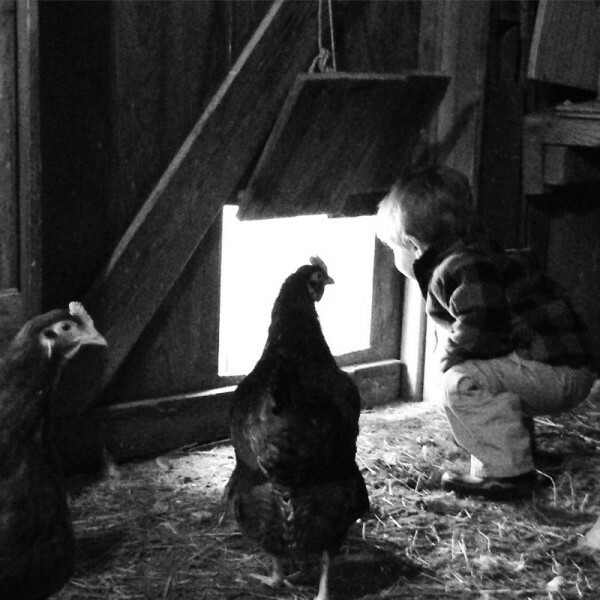 Check on your chickens every day and watch their behavior to discover things before they turn into a problem. Using misters helps keep the area cool for the chickens. Use a large pan and place a frozen gallon jug in it. This will cool the water and provide the chickens with a cool drink as it melts. Cut small watermelons in half and put them in the freezer. On very hot days, set the melon outside in the shade with some meal worms sprinkled on top. As the melons defrost, the chickens pick at the cold fruit providing hydration. Frozen blueberries are also another cool treat idea when it is very hot. Tarps work great to provide additional shade and block out the heat of the sun. Place a layer of straw or fabric on the top of the run to provide your chickens shade.